Yep, I Feel Like A Turtle. (Blog Award) | Talking to My Weight Loss Counselor-God! Yep, I Feel like a turtle . . . So true Rachel. Thank you for the reminder. I went back and made the necessary changes. The Holy Spirit (Lord) is what delivered me from obesity (over 90 pounds) and I don’t want to hurt His feelings. I owe all that I am to the Lord, Holy Spirit. I appreciate Rachel helping me realize my error. Isn’t that what true friends are for, to help us along the way. Chape at http://chapeblog.wordpress.com sent me the Spirit Animal award. She’s a personal trainer who encourages you to get up off the sofa and do something, anything. She has a playlist of music to move your body. Wow! How did she do that? Check out her blog for more inspiration. Very motivating. Hate to admit it, but lately, I feel like a turtle. 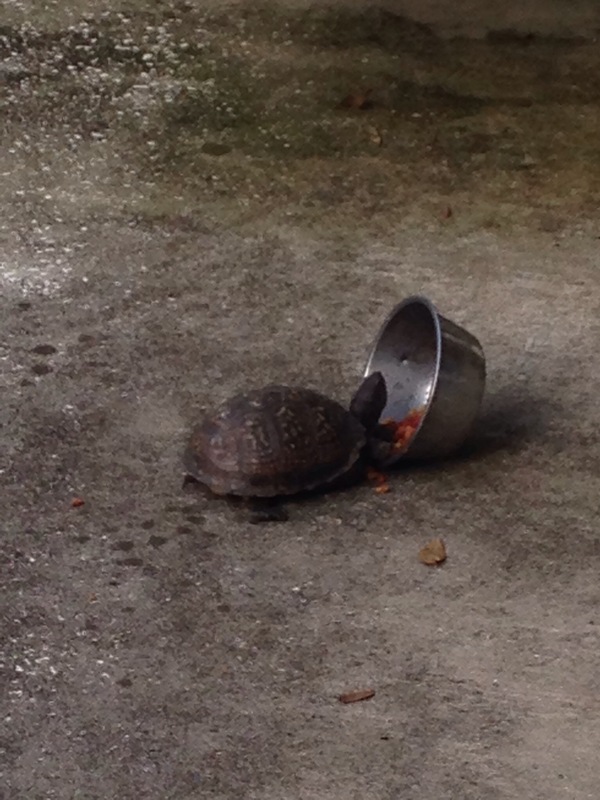 Turtles are slow, it seems I am too. Events of life and people keep getting in the way. Wait a minute. Doesn’t God place these people in our lives as an assignment? Aren’t we to minister His love to them? Maybe their assignment is to minister His love to us? What do you think? It gives me comfort to know that if I just keep going forward, even though I’m slow, I will achieve my goals and win this race. Victory is just ahead. Your victory is just ahead too. Wait, could it be that what slows us down is that we keep reaching out to help others along the way? Could it be that as we help them achieve their victory, we reach our victory at the same time? Other people slow us down in reaching our goals, but as we help each other we combine our strength and achieve victory together. There is safety in numbers, but there’s combined strength in numbers too? Think about it. We’re created to show forth His love, strength, joy, and peace to one another. One seed of love spreads forth to create abundance. Remember that old song by The Beatles, “What The World Needs Now is Love, Sweet Love.” Truth. 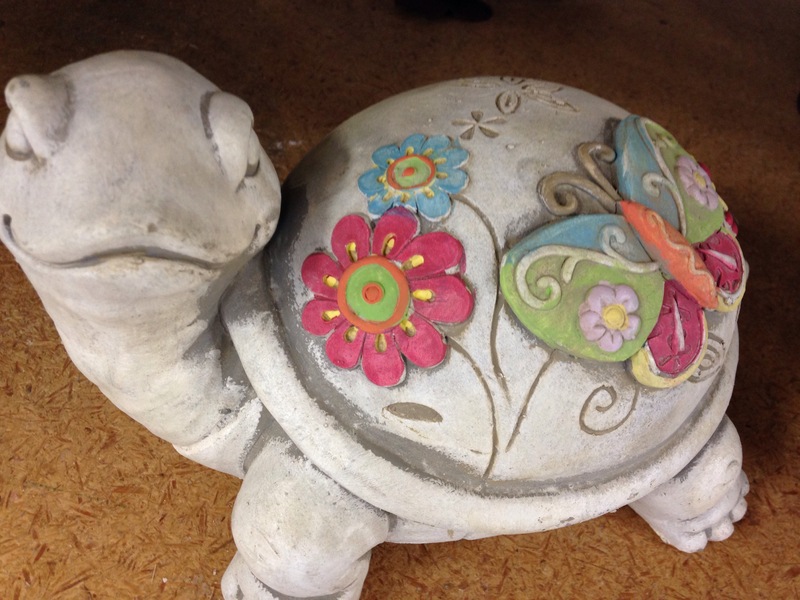 The turtle is round in shape. I used to be round in shape. But not now, thank you Lord Jesus. 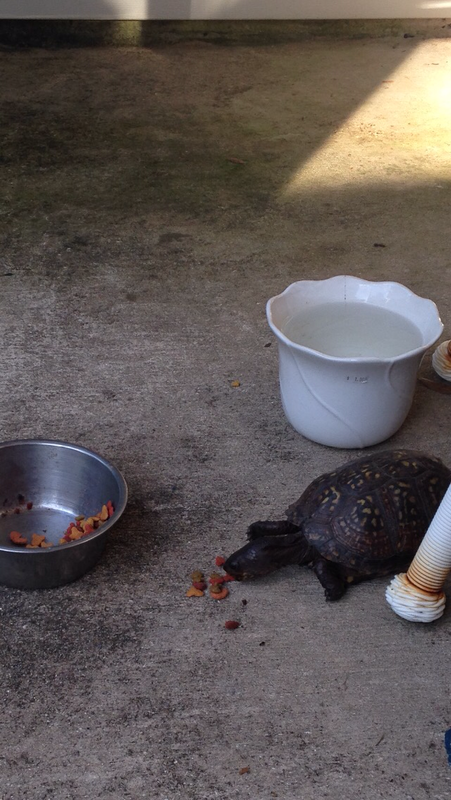 The turtle ate my cat’s leftovers. I also ate the leftovers that others left on their plate and everything else too. As the turtle walked, he waddled. I don’t know how he carries his large round body on those little legs. I used to have really big legs (size 18-20) and also waddled when I walked, but not now. My bottom and legs are still the largest part of my body, but now size 8-10. As far as I’m concerned all of you are wonderful, so I give you an award without strings attached. Just take it as a gift to you, my friend. If you don’t want to complete the assignment- don’t. Enjoy this award as a free gift to you. But if you want to complete this assignment, go for it. 2. Write a short paragraph about your blog and what it means to you. 3. If you could be any animal what would you be? 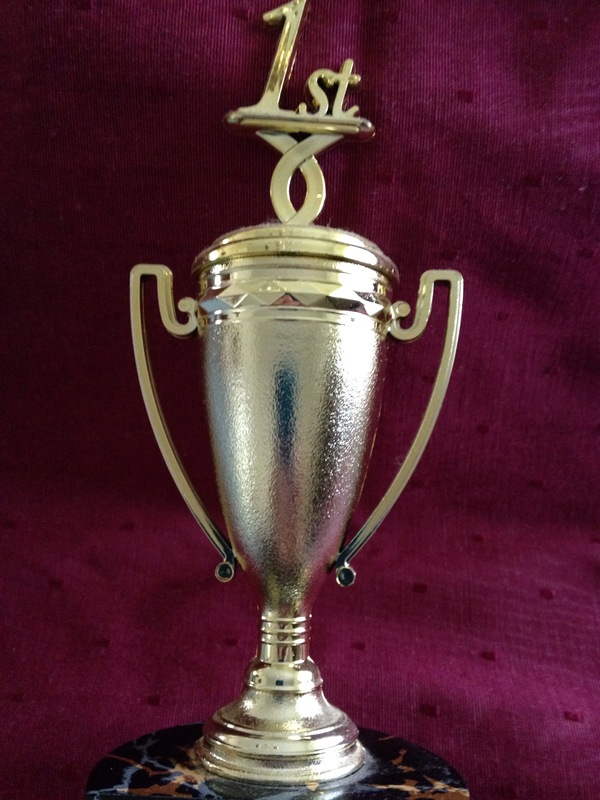 Since this is just an award for your wonderful blog. It’s not necessary to write about being an animal. In the beginning this blog provided something for me to do at night beside eat. After supper, I used to settle down in front of the TV and snack until I waddled off to bed. The blog served to replace a bad habit with a good habit. In 2013 it provided a connection to the outside world when I was homebound with my 95- year- old mother-in-law for four months. She was promoted to Heaven in Feb. 2014. I wrote to share with others what God spoke to my heart during my early morning weight loss counseling sessions. Other people enjoyed reading it and said it helped them with their weight issues too. I remember when the first few people subscribed I was so surprised and excited. 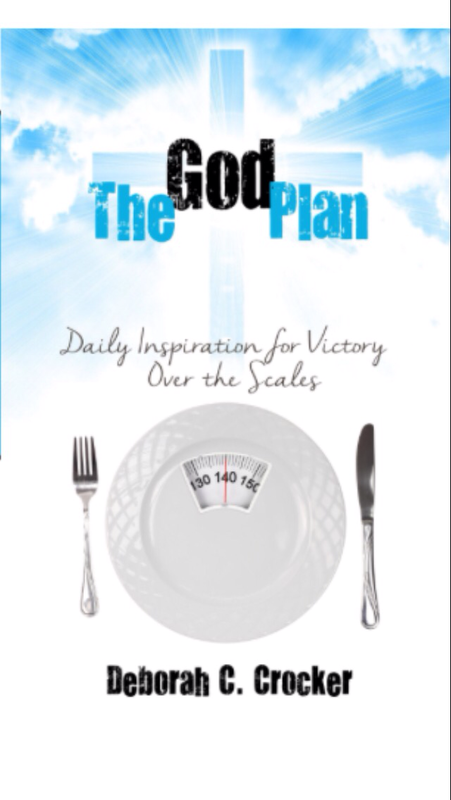 This blog also resulted in a book, The God Plan, Daily Inspiration for Victory Over the Scales, available through http://www.amazon.com/Deborah-C.-Crocker/e/B01A981PZQ. I want to take this blog to another level and I’m trying to learn how to improve. My biggest struggle is time management due to a retired husband who thinks he’s the center of my universe, grandchildren, and the others God has placed in my life. This entry was posted in Blog awards, lastest post, Spirituality, Uncategorized, weight loss and tagged blod award, counseling sessions, God's assignment, losing weight, turtle eating, Victory, weight loss. Bookmark the permalink. 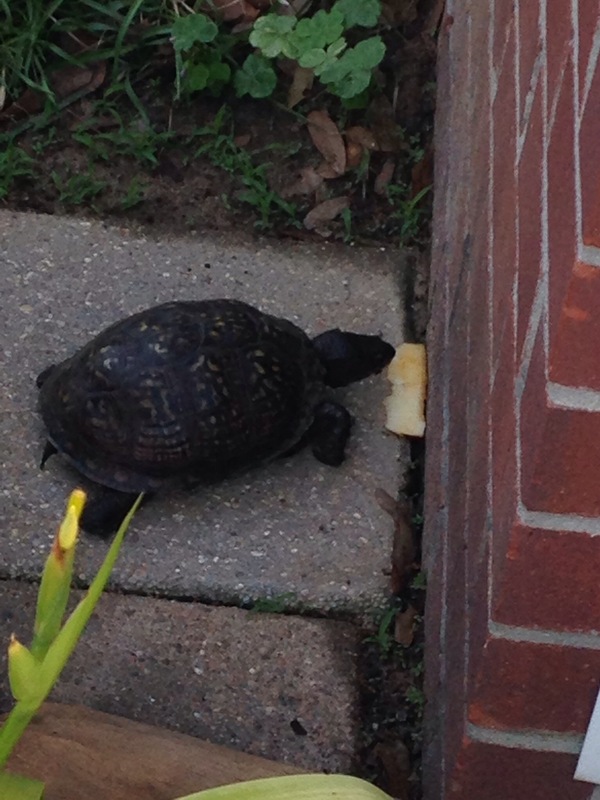 I feel like a turtle too- I didn’t see this post or the nomination until today. Thank you though I don’t deserve it or your friendship. I am better with my appetite now- maybe its your prayers but I seem to have gone off food- a few bites and I am done. I can’t eat any more- all I feel is drinking water. Sometimes I get a migraine and I try to copy drinking a coke or some soda bicarb because I am so sure it is acidity and another thing, I can’t eat any food from outside- promptly comes a migraine. As you mentioned in a previous post- God certainly has a sense of humor- he is laughing with us- I don’t want to think ” at” us. I haven’t lost much weight yet but I am so relieved that my appetite is gone that I am thrilled for life- hope it lasts.